Man, this is one tricky challenge. 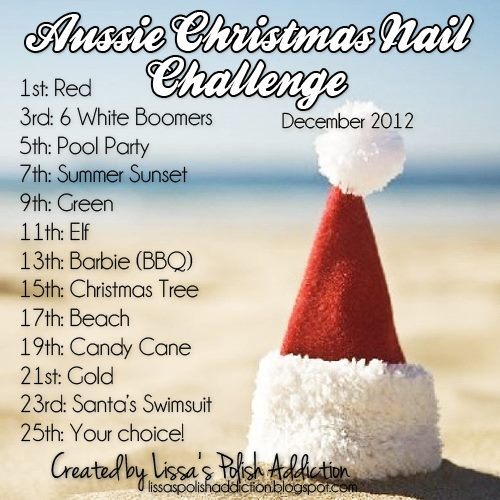 Today's theme in the Aussie Christmas Challenge is Pool Party. We have a pool at home, so this is certainly something I'm familiar with, but coming up with pool party nail art is a whole nother thing. 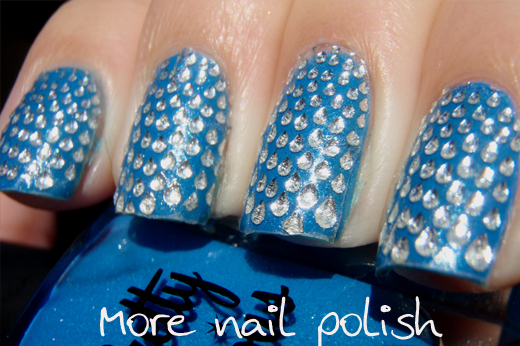 My interpretation is of water droplets from the pool sitting on your nails. 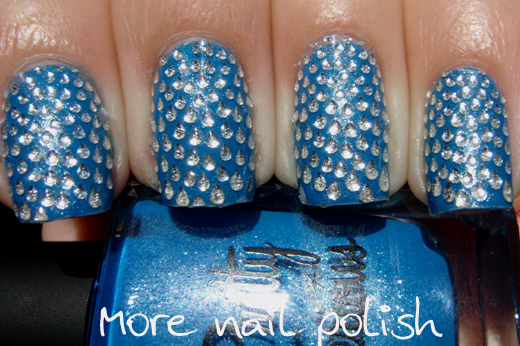 This design is another of the Ulta3 nail art stickers. They are small raised silver droplets on transparent stickers. The way the design is cut out on the sheet actually has the drops dripping the otherway, which just didn't seem to make sense to me, so I cut and reversed the stickers on my nails. These Ulta3 stickers are ok, they certainly are very, very sticky. But I don't think I could wear them more than one or two days because of the lifting at the tip. The base colour is nearly a perfect match to the blue of our pool, it's Pretty Serious Elliot. These stickers make for a really awesome, glistening effect! 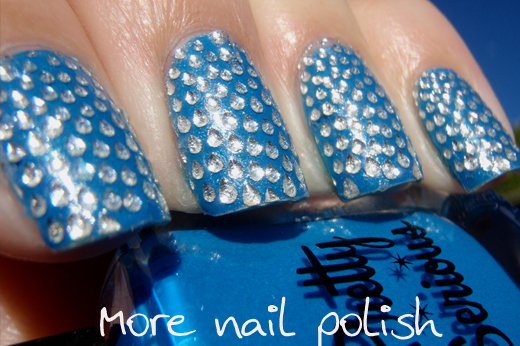 Just perfect!It seems that you have diamonds on your nails! ooh this challenge looks awesome! love the pool party theme!